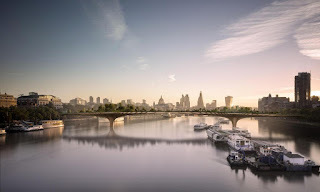 Heatherwick's Garden Bridge moves closer to reality as engineers appointed Archi-new - Free Dwg file Blocks Cad autocad architecture. Archi-new 3D Dwg - Free Dwg file Blocks Cad autocad architecture. Plans to build Thomas Heatherwick’s plant-covered Garden Bridge on London’s River Thames have moved a step closer to reality after the trust developing the project agreed a construction contract. A joint venture of Bouygues Travaux Publics and Cimolai SpA will be responsible for completing the detailed design, construction and planting of the project. 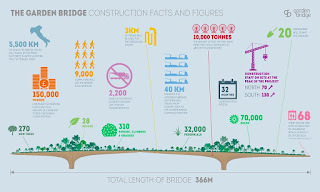 The two companies had previously been working with the Garden Bridge Trust since April 2015 on preconstruction strategy – developing the means to limit disruption and ensure work is completed with a 32-month timeframe. 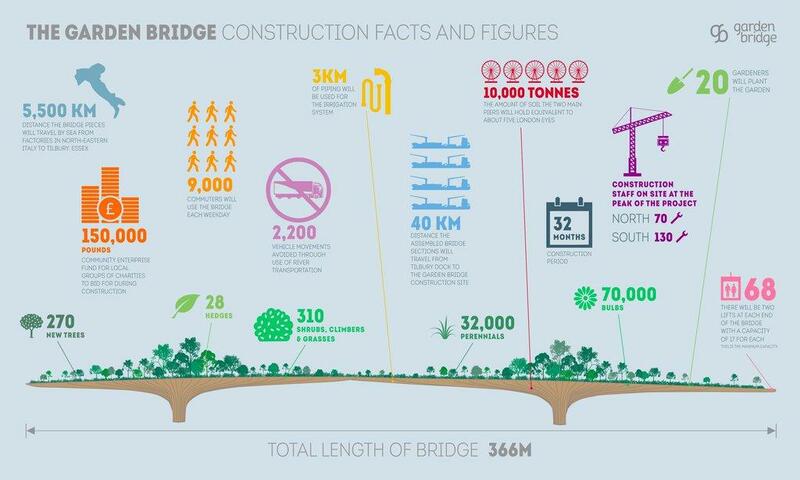 Construction on the bridge is planned to commence by Q3 2016 and to be completed in late 2018. The project – which was first proposed by British actor Joanna Lumley – has been mired in controversy over the procurement process, which saw Heatherwick Studio’s vision selected over competing bridge designs from Wilkinson Eyre and Marks Barfield. According to an Architect's Journal investigation, Heatherwick was present for several meetings with mayoral staff, including London mayor Boris Johnson, before the contest was held. Other doubts have been raised over the points system used to select the design, and the amount of public money that will be spent on the project. However, Johnson – who called the bridge “a stunning oasis of tranquillity in the heart of our city” – and the trust have remained resolute in their backing for the project, which they say will bring huge benefits to the area in terms of jobs and economic opportunities. 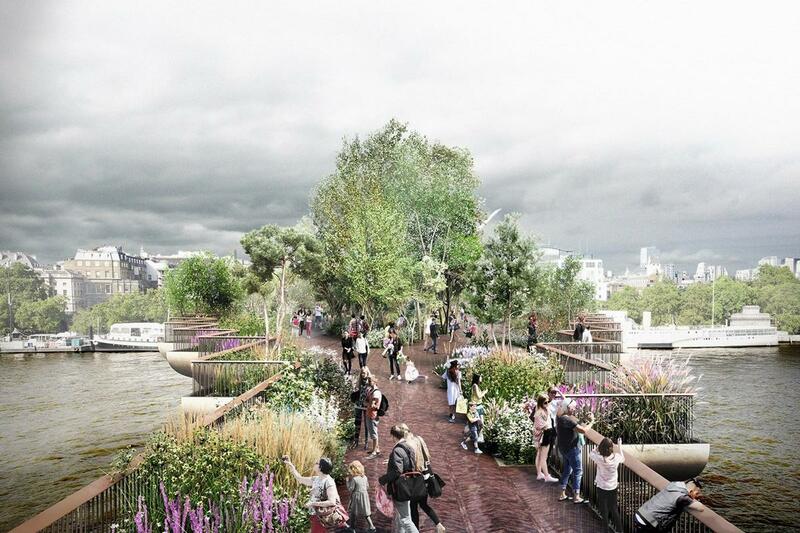 “The Garden Bridge is a reality,” said Lord Mervyn Davies, chair of the trust. “We are on course with our fundraising targets and we are meeting the requirements of our planning conditions. According to Davies, 80 per cent of Lambeth Council’s pre-commencement planning conditions have now been met and lease negotiations are continuing about the land required for the bridge's south landing. Bouygues TP and Cimolai will be supported by Flint and Neil Limited and Moxon Architects. 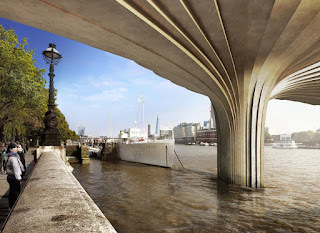 Heatherwick Studio – alongside landscape architects Dan Pearson Studios and global engineering firm Arup – will continue to provide advice for design and construction.